For many people, Christmas is made extra special with a drink or two of wine. Whether it is a nice port to go with the cheese, champagne to make it an extra special party or simply a nice crisp white to enliven the occasion, many wines will play a part in the fun. Of course, this can be enjoyed in all sorts of surroundings. A glass enjoyed at home with the family is one thing, but for those travelling to the sunnier climes of Spain for the Christmas holidays, one place wine connoisseurs should never miss is the Hacienda la Zorita. 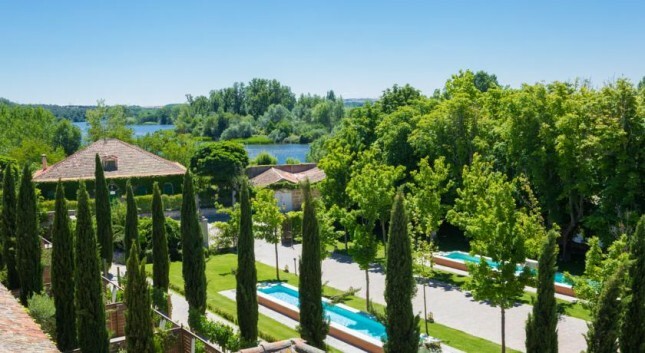 The hotel, the first wine-themed luxury establishment in Spain, is located in Salamanca by the River Tormes, a tributary of the one of the Duero. This is one of world’s great wine-growing valleys – the Tierra del Pan y del Vino – and for those who love sampling the finest vintages it is a great place to spend any trip to Spain, including Christmas. Salamanca is a great place to visit for many reasons, just one of which is the plethora of vineyards around it. A UNESCO world heritage site, the city is home to a myriad of places, cathedrals, churches, museums and restaurants. It houses the third oldest university in Europe and the imposing Plaza Mayor, while its history dates back to the Carthaginians over 2,300 years ago. The hotel itself is located in the Casa Grande Building, itself a fine architectural specimen. It includes a farm-to-table restaurant, plus a wine and fine bar and a relaxing wine spa. Everything is geared up to making this a cosy stay with the best wines in the area close at hand. While the hotel facilities are modern, the building itself has a rich history, dating back to 1366, the year the first vines were planted in the area. Its guest list from down the years includes some impressive names, including Christopher Columbus. While most people will not be able to achieve his fame, a visit to the Hacienda la Zorita is still a fantastic experience for those who want to do some discovering – of the wine-tasting kind, that is.